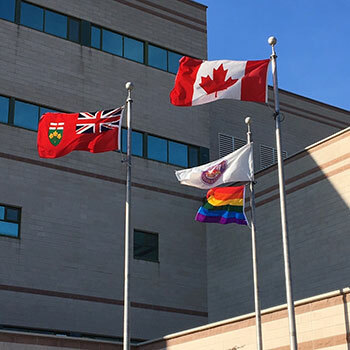 Wilfrid Laurier University is flying the rainbow flag during June in support of Pride Month. Promoting “diversity and a culture of inclusivity” is a Laurier hallmark. It is embedded in the university’s official statement of Values, Vision, Mission and Guiding Principles and encouraged across the university through Laurier’s Diversity and Equity Office. The rainbow flag will fly at Laurier’s campuses in Waterloo and Brantford throughout the month of June.